Patrick G. Pollard focuses on invalidity and infringement issues in Hatch-Waxman patent litigation. His practice includes providing scientific advice and prior art analysis involving the pharmaceutical and chemical arts. Patrick gained 18 years of pharmaceutical experience working in the Merck Patent Department and Research Laboratories. 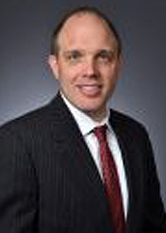 He has extensive experience conducting comprehensive and focused patentability and freedom to operate prior art searches in the chemical and biological arts. As a medicinal chemist, he has co-authored 8 scientific publications and is an inventor on 2 U.S. patents. Patrick earned a Master of Science degree in chemistry and a Juris Doctor degree from Seton Hall University. He earned a Bachelor of Science degree in chemistry from Montclair State University. He is admitted to the NJ bar and is registered to practice before the U.S. Patent and Trademark Office.